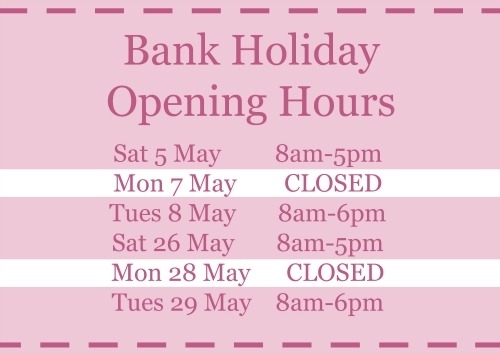 Our Nottingham Shop and Sales Office will be closed on Mon, 7 May for the Bank Holiday. Our Sales office will reopen on Tues, 8 May. Any orders received after 12pm on Fri, 4 May will be dispatched on Tues, 8 May August for delivery on Weds, 9 May. The shop opening hours can be found below!